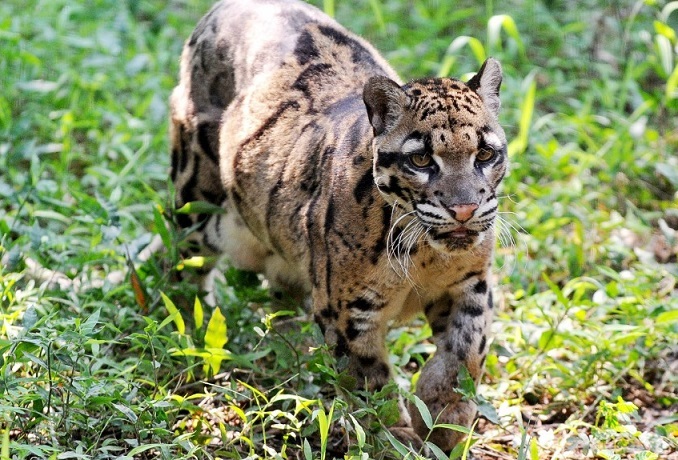 The Clouded Leopard is touted as one of the 10 amazing creatures hiding in tiny Brunei’s rainforest. BANDAR SERI BEGAWAN – Two Bruneians were recently caught for alleged trading in protected wildlife, but only one is expected to be charged under Section 29 (c) of the Wildlife Protection Ordinance 1998 of Malaysia which carries a penalty of jail term of up to two years and fine of RM25,000, if found guilty. 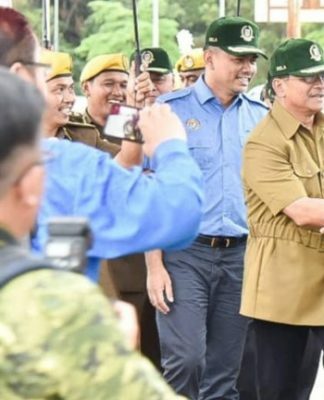 According to a report in Brunei’s Borneo Bulletin, the duo has been remanded in Miri since Friday to assist with investigations into the illegal trade of a clouded leopard. 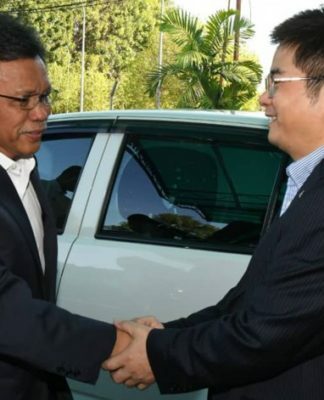 However, another Brunei media, Brunei Times said the Sarawak Forestry Department will charge only one of them. 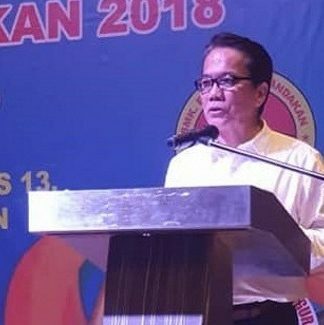 A representative of the department’s enforcement section said the charge will be levelled against the defendant before the court tomorrow in Miri, with the other detainee will serve as a witness to the case. “There is only one suspect that will face the charges (of smuggling the clouded leopard). Investigations are still ongoing at the moment,” said the official who declined to be named. 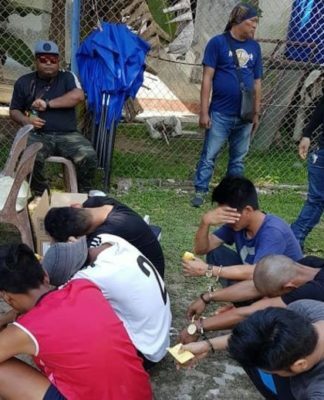 The case was the result of an undercover operation from the Sarawak side after the sale of the protected, rare animal was being advertised on social media by a Brunei user, with a price tag in the region of $5,000. The selling of the clouded leopard was discovered on social media. 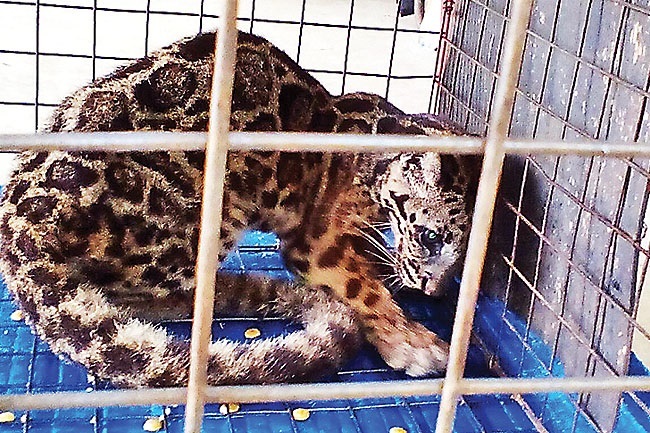 The Clouded Leopard is now under the custody of the Sarawak Forestry Department. “Subsequently, enforcement officers went undercover to further investigate the case. This was the first time such a case had been received by the FDS,” said an enforcement officer. In Brunei Darussalam, the clouded leopard is an endangered animal and is protected under the Brunei Wildlife Protection Act (1984), an Act to make provision for the protection of wildlife and for the establishment of wild life sanctuaries. The General Provision for the Protection of Wildlife under chapter 102 among others states that no person shall hunt, kill or capture any protected animal otherwise than under and in accordance with the conditions of a licence issued under this Act. The offence carries a penalty of imprisonment for one year and a fine of $2,000. The Act further states that no persons, other than the holder of an appropriate licence issued under this Act, shall sell or offer for sale or have in his possession any protected animal or any trophy or flesh thereof, unless the same has been lawfully acquired. The penalty for this offence is a prison sentence of six months and a fine of $1,000.